Over half a million women worldwide die of breast cancer per year. 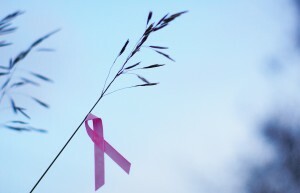 Breast cancer is the most common type of cancer for women in England. Each year, approximately 41,000 women are diagnosed with it – some of them are too late to be treated. Unfortunately, women around the world are mostly unaware of what other signs to look for when it comes to breast cancer, resulting in over half a million deaths per year. It is the second most common cancer, representing 25% of all cancers in women. Public Health England have recently launched a campaign called “Be Clear on Cancer” to urge women of all ages to let their doctors know about any abnormalities in their breasts. The lumps associated with breast cancer can appear later on, or not appear at all, so it is important that women are proactive in self diagnosis in the presence or absence of these. For women living abroad, it is recommended to register with a GP promptly who can check on you on a regular basis. “One in three women with breast cancer is over 70. So don’t assume you’re past it,” warns Jenny Harris, from Public Health England. She also emphasises the need for women to keep an eye on any irregularities to the appearance of their breasts. Be Clear on Cancer is about spreading the word and letting other women know of the risks of not checking themselves with their doctors properly, regardless of age. This is an important message for all women across the world. Alerting doctors of any changes or abnormalities, no matter how small, is the best way to beat cancer.